I have gone a bit OTT buying lip products, especially as they were so cheap in America. I don't usually wear makeup, but lipstick is the perfect way for me to spruce up my look, and this is what I usually wear for a night out. I have been looking for ages to find a nice lipstick which I can wear more often, particularly in the day, and I have been lucky enough to finally find one that I love. 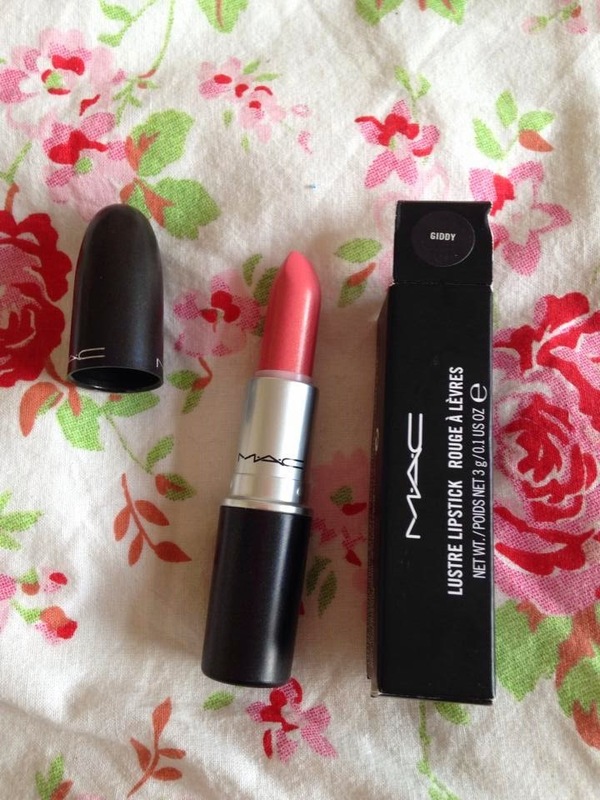 It is from MAC and I think it is gorgeous. 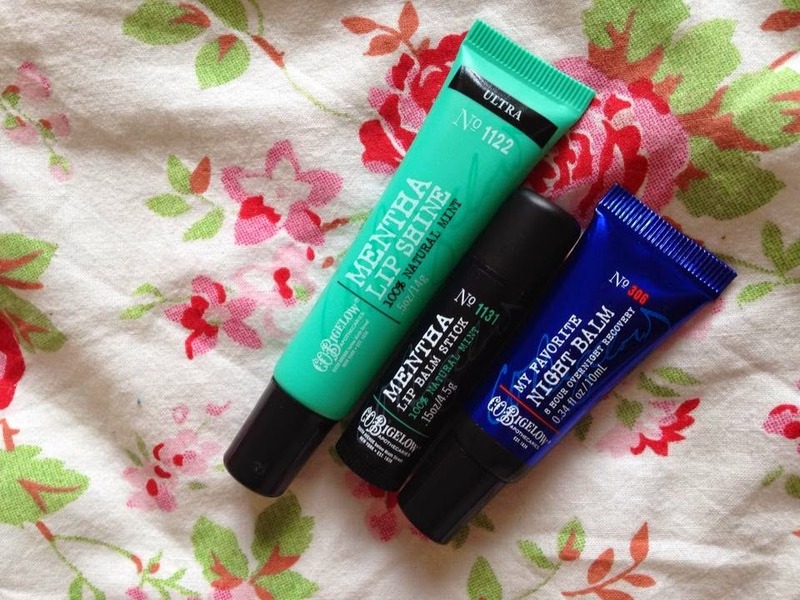 I have also been buying lots of products to make my lips lovely and smooth, as they need to be looked after properly (and better than I have been looking after them if I'm honest!). Bath and Body Works is an american shop, kind of like the Body Shop in a way, and that is where I found 3 more lip products. I treated myself to three because they were buy-two-get-one-free. I found a night balm, which you are supposed to put on every night, a mint lipgloss and a mint lipbalm which is my favourite. EOS (Evolution of Smooth) was another of my great buys. I got two flavours - Summer Fruit and Honeydew. In England, they are quite expensive compared to America (see here where they are £5.99). I got mine for $2.97 each, which is roughly £1.80 so amazingly cheap. I love these lip balms, they just glide onto your lips and the round shape makes it so easy to apply them. My deal of the holiday would have to be my MAC lipstick in 'Giddy'. I love this colour, its so natural and it is perfect for everyday wearing. 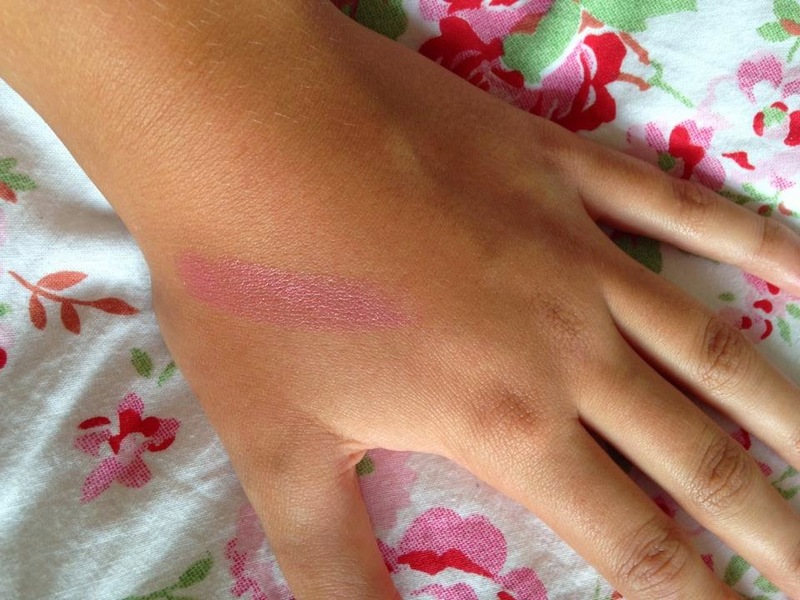 I can't find the colour on the website, so I think it is an older colour but I absolutely love it - its the perfect lipstick for wearing during the day for a bit of colour without going over the top. I still can't believe it was only around £6! What a bargain. 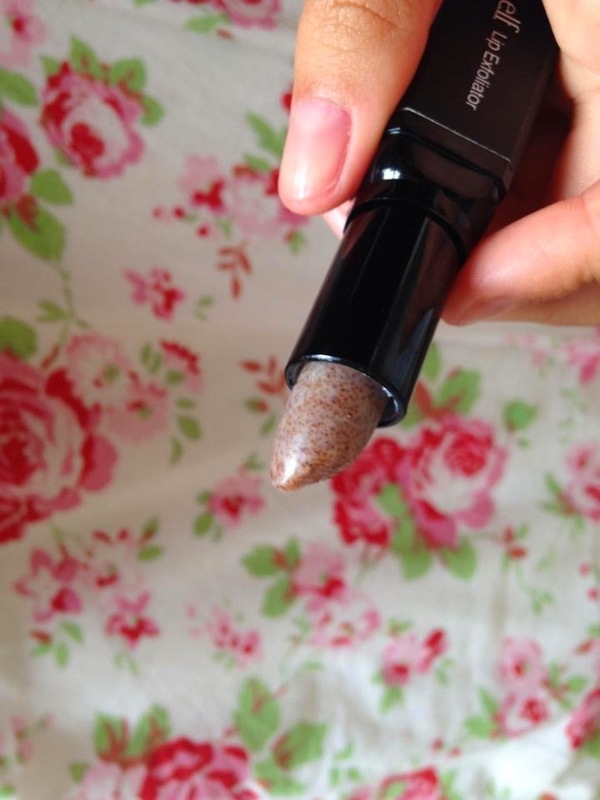 Another bargain was my lip exfoliator, as seen on Mapped Out Blog. As soon as I saw Georgia had luckily won this product and reviewed it, I was on the look out as I knew they had e.l.f in Walmart. It tastes amazing and I can feel it working magic on my lips already, I can't wait to use this product in the winter especially when my lips are dry and chapped. So thats all of the lip products I got in America. I hope you enjoyed reading about my buys! Have you ever tried the EOS products? What do you think of my MAC bargain? Maybe we can keep in touch!! They are great! Such bargains. I will check your blog out now! 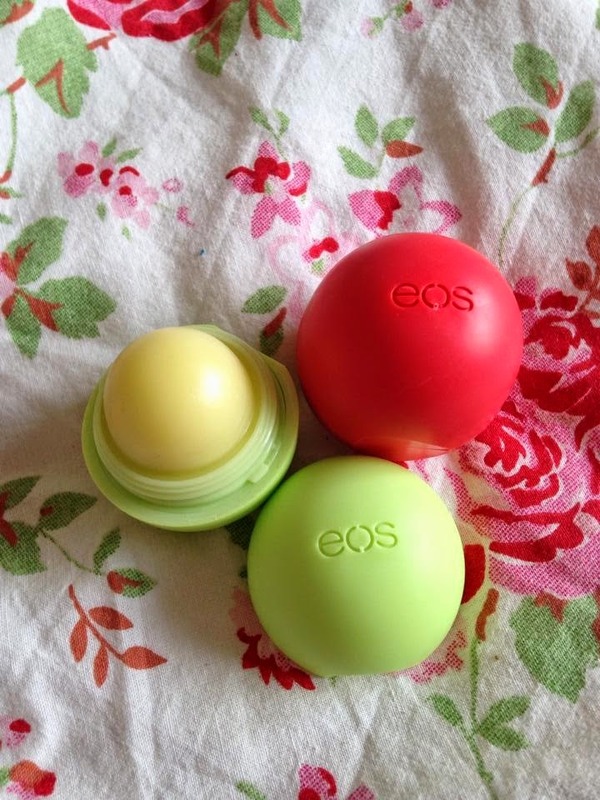 I so want to try the EOS balms, they sound amazing! I love the Bath and Body Works pocket bac gels, they smell so good! I have the elf lip exfoliator but haven't used it yet- you've made it sound great!